2017 Students - Please note this draft online lecture content is currently being updated for the current course. This notice removed when update completed. 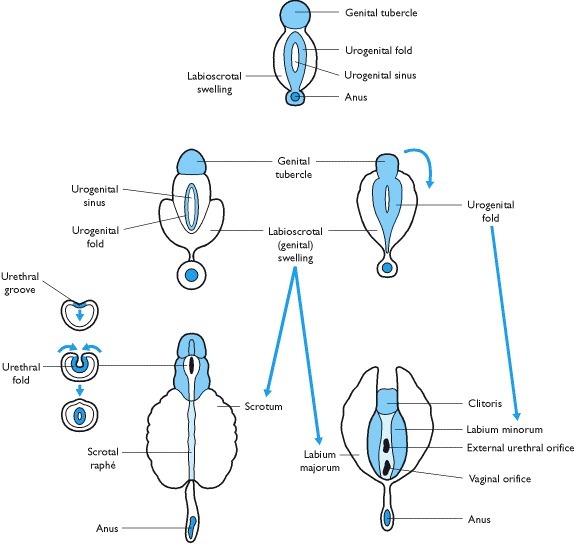 This lecture covers embryonic sexual differentiation covering gonad, internal and external genital development. 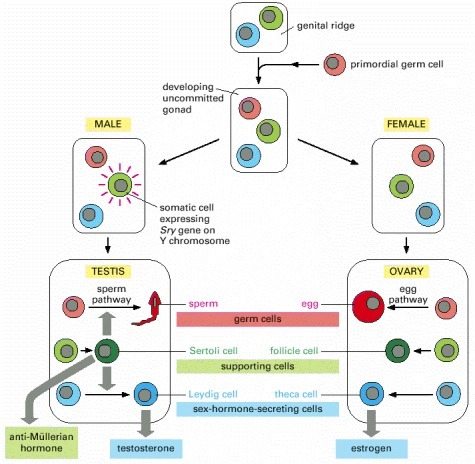 Differences in development are dependent on a protein product of the Y chromosome SRY gene. The paired mesonephric ducts (Wolffian ducts) and paramesonephric ducts (Müllerian ducts) contribute the majority of male and female internal genital tract respectively. I will also introduce some abnormalities of development, that will be covered in the associated practical class. This is one system that continues to develop and change postnatally with puberty and menopause. Moore, K.L., Persaud, T.V.N. & Torchia, M.G. (2015). The developing human: clinically oriented embryology (10th ed.). Philadelphia: Saunders. The following chapter links only work with UNSW Library subscription (with student Zpass log-in). Schoenwolf, G.C., Bleyl, S.B., Brauer, P.R., Francis-West, P.H. & Philippa H. (2015). Larsen's human embryology (5th ed.). New York; Edinburgh: Churchill Livingstone. The following chapter links only work with UNSW Library subscription (with student Zpass log-in). impairment of cortisol production by the adrenal cortex, is one of the most common causes of intersex genitalia at birth. genetically male (XY) infants born with undervirilized genitalia are often assigned and reared as girls. This page was last modified on 3 September 2018, at 10:54.